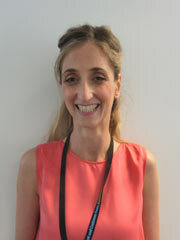 Dr Constantina (Tina) Chrysochou is a locum nephrology consultant at SRFT. She completed her PhD entitled ‘Prediction of renal function post revascularization in atheromatous renovascular disease (ARVD) using magnetic resonance imaging’ in 2011. Her research areas of interest include the epidemiology and effects of ARVD, with a specific emphasis on both contrast and non-contrast enhanced radiological methods to analyse and predict renal functional response to revascularization. She is am a co-applicant on a current KRUK grant to further our departments ARVD radiological research with the aim to make magnetic resonance a one stop diagnostic and prognostic tool in ARVD. Dr Chrysochou also has a specialist interest in the unique and rare condition nephrogenic systemic fibrosis (NSF) and has been appointed to the international NSF board as a medical advisor. Chrysochou C, Schmitt M, Siddals K, Hudson J, Fitchet A, Kalra PA. Reverse cardiac remodelling and renal functional improvement following bilateral renal artery stenting for flash pulmonary oedema. Nephrol Dial Transplant. 2013 Feb;28(2):479–83. Epub 2012 Jan 19. Chrysochou C, Foley RN, Young JF, Khavandi K, Cheung CM, Kalra PA. Dispelling the myth: the use of renin-angiotensin blockade in atheromatous renovascular disease. Nephrol Dial Transplant. 2012 Apr;27(4):1403–9. Epub 2011 Oct 12. Chrysochou C, Mendichovszky IA, Buckley DL, Cheung CM, Jackson A, Kalra PA. BOLD imaging: a potential predictive biomarker of renal functional outcome following revascularization in atheromatous renovascular disease. Nephrol Dial Transplant. 2012 Mar;27(3):1013–9. Epub 2011 Aug 19. Ritchie J, Chrysochou C, Kalra PA. Contemporary management of atherosclerotic renovascular disease: before and after ASTRAL. Nephrology (Carlton). 2011 Jul;16(5):457–67. Cheung CM, Chrysochou C, Kalra PA. The management of renovascular disease: ASTRAL and beyond. Curr Opin Nephrol Hypertens. 2011 Jan;20(1):89–94. Eddington H, Hoefield R, Sinha S, Chrysochou C, Lane B, Foley RN, Hegarty J, New J, O’Donoghue DJ, Middleton RJ, Kalra PA. Serum phosphate and mortality in patients with chronic kidney disease. Clin J Am Soc Nephrol. 2010 Dec;5(12):2251–7. Epub 2010 Aug 5. José RJ, Chrysochou C, Shurrab AE, New D, Wood GN. Rituximab for rescue and maintenance therapy in rapidly progressive life-threatening antineutrophil cytoplasmic autoantibody-associated systemic vasculitis. Scand J Urol Nephrol. 2010 Dec;44(6):459–62. Epub 2010 Jul 20. Chrysochou C, Kalra PA. Atherosclerotic renovascular disease and the heart. J Ren Care. 2010 May;36 Suppl 1:146–53. Chrysochou C, Kalra PA. Current management of atherosclerotic renovascular disease--what have we learned from ASTRAL? Nephron Clin Pract. 2010;115(1):c73–81. Epub 2010 Feb 20. Chrysochou C, Power A, Shurrab AE, Husain S, Moser S, Lay J, Salama AD, Kalra PA. Low risk for nephrogenic systemic fibrosis in nondialysis patients who have chronic kidney disease and are investigated with gadolinium-enhanced magnetic resonance imaging. Clin J Am Soc Nephrol. 2010 Mar;5(3):484–9. Epub 2010 Jan 21. Cheung CM, Chrysochou C, Shurrab AE, Buckley DL, Cowie A, Kalra PA. Effects of renal volume and single-kidney glomerular filtration rate on renal functional outcome in atherosclerotic renal artery stenosis. Nephrol Dial Transplant. 2010 Apr;25(4):1133–40. Epub 2009 Dec 22. Kalra PA, Chrysochou C, Green D, Cheung CM, Khavandi K, Sixt S, Rastan A, Zeller T. The benefit of renal artery stenting in patients with atheromatous renovascular disease and advanced chronic kidney disease. Catheter Cardiovasc Interv. 2010 Jan 1;75(1):1–10. Chrysochou C, Kalra PA. Epidemiology and natural history of atherosclerotic renovascular disease. Prog Cardiovasc Dis. 2009 Nov-Dec;52(3):184–95. Chrysochou C, Sharma R, Kalra PA, Kalra PR. Improved left ventricular filling following bilateral renal artery stenting. Int J Cardiol. 2011 Jul 1;150(1):e40–1. Epub 2009 Nov 7. Chrysochou C, Manzoor S, Wright J, Roberts SA, Wood G, McDowell G, Kalra PA. Role of renal function and cardiac biomarkers (NT-proBNP and Troponin) in determining mortality and cardiac outcome in atheromatous renovascular disease. Kidney Blood Press Res. 2009;32(5):373–9. Epub 2009 Nov 3. Eddington H, Sinha S, Li E, Hegarty J, Ting J, Lane B, Chrysochou C, Foley R, O’Donoghue D, Kalra PA, Middleton R. Factors associated with vascular stiffness: cross-sectional analysis from the Chronic Renal Insufficiency Standards Implementation Study. Nephron Clin Pract. 2009;112(3):c190–8. Epub 2009 May 13. Chrysochou C, Buckley DL, Dark P, Cowie A, Kalra PA. Gadolinium-enhanced magnetic resonance imaging for renovascular disease and nephrogenic systemic fibrosis: critical review of the literature and UK experience. J Magn Reson Imaging. 2009 Apr;29(4):887–94. Review. Chrysochou C, Cheung CM, Durow M, Middleton RJ, Solomon LR, Craig A, Venning M, Kalra PA. Proteinuria as a predictor of renal functional outcome after revascularization in atherosclerotic renovascular disease (ARVD). QJM. 2009 Apr;102(4):283–8. Epub 2009 Feb 7. Sinha S, Williams JL, Eddington H, Chrysochou C, Lamerton E, Babbs C, Cowie A, Smithard DJ, Kalra PA. Small bowel angiodysplasia in a patient on haemodialysis: difficulties in diagnosis and management. BMJ Case Rep. 2009;2009. Epub 2009 Mar 27. Chrysochou C, Kalra PA. Atheromatous renovascular disease: overview and challenges. J Ren Care. 2008 Dec;34(4):179–90. Chrysochou C, Hegarty J, Kalra PR, Wheatley K, Moss J, Kalra PA. “Shoot the renals”: the evidence is actually round the corner! Heart. 2008 Oct;94(10):1333; author reply 1333. No abstract available. Erratum in: Heart. 2008 Dec;94(12):1655. Chrysochou C, Buckley DL, Kalra PA. Magnetic resonance imaging: advances in the investigation of atheromatous renovascular disease. J Nephrol. 2008 Jul–Aug;21(4):468–77. Review. Chrysochou C, Randhawa H, Reeve R, Waldek S, Wood GN, O’Donoghue DJ, Kalra PA. Determinants of renal functional outcome in lupus nephritis: a single centre retrospective study. QJM. 2008 Apr;101(4):313–6. Epub 2008 Feb 12. Chrysochou C, Sinha S, Chalmers N, Kalra PR, Kalra PA. Anuric acute renal failure and pulmonary oedema: a case for urgent action. Int J Cardiol. 2009 Feb 6;132(1):e31–3. Epub 2007 Nov 28. Chrysochou C, Mahto R, Klass D, Mohan D, Kodali VR. A case of breathlessness, confusion and diarrhoea. Eur J Emerg Med. 2004 Aug;11(4):225–7. Constantina Chrysochou and Philip A Kalra Vascular Surgery – cases, questions and commentaries, 3e edited by George Geroulakos and Bauer Sumpio.